We are stimulated daily by constant reminders of God around us says Scharada Dubey. There are the daily calls to prayer, devotional songs, calendar pictures, roadside shrines, but it is pilgrimages that are the most visible way in which faith is expressed. 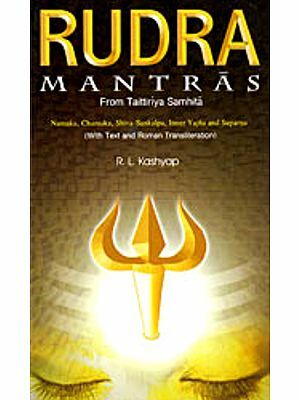 A yatra is essentially a shared spiritual journey and the writer has undertaken many of her own, particularly to places central to the worship of Shiva. 'Shiva's wild, untamed manifestation resonates strongly with millions of people who still live, willy-nilly, in close contact with the features and forces of nature,' she says, explaining her choice of subject. To some, this choice teemed an odd one, since there are many reasons for non-belief today. But Dubey chooses not to turn her back on 'such cultural riches'. Large numbers of people move about the country, in obedience to the rhythm of a seasonal call that their forefathers have answered. 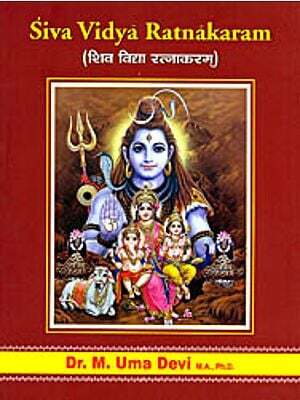 This book seeks to explore several such 'yatras' through the particular prism of Shiva worship. 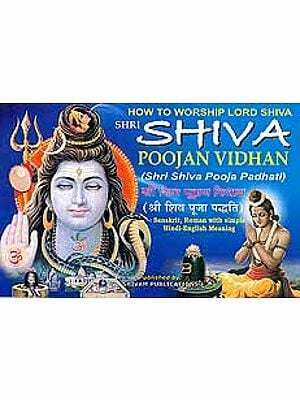 Shiva occupies a unique place in the Hindu pantheon as a deity equally close to the hearts of vagrants and addicts, the disabled and the no-hopers, and to the more empowered sections of society. 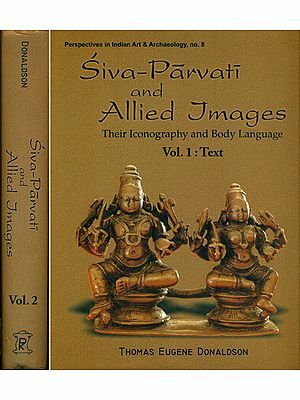 Perceptions of Shiva-and of his worshippers-provide the conversational cues for interviews with the people whose accounts and words enrich this book. In it, readers will meet pilgrims and priests, public administrators and all mainstream or marginal participants in journeys undertaken to please their god. Our names often reveal the faith our parents and forefathers practised, and it is their actions that lay the foundation for how we approach it in our own lives. Of course, the first appearance of faith in our adult selves is in a form of branding, as one of the ingredients of our identity. 'Hindu, Muslim, Sikh, Isai we often intone in our patriotic songs, naming the four dominant religions practised in India, and our names offer a clue to the particular faith that claims us as one of its own, or that we can claim to represent as significant for us. But beyond this superficial branding, whether we do indeed follow in the footsteps or dictums of a particular faith depends a lot on the way our parents approached matters at home. Which is not to say that it's a simple equation of temple-going parents producing pious children. In fact, visible symbols of religiosity in some families lead to children growing up with a counter-reaction to the whole question of religion. After all, if a man spends many hours doing puja, or is a pillar in his congregation at church, but gets drunk and beats his wife and children regularly, they can't be expected to have the kindest view of his faith. Like many other aspects dependent on the dynamics of the family, faith can produce some unexpected results. My faith as a believing Hindu is rooted almost entirely in the way my mother professed and practised it in the years I was growing up. I lolled around the house reading Enid Blyton and P.G. Wodehouse, Georgette Heyer or the then ubiquitous Mills and Boon romances to the background sound of my mother singing verses aloud out of Tulsidas' Vinay Patrika or Ramcharitmanas. I raised a host of pets, from squirrels, rabbits, parrots, puppies and finally, kittens and cats, with my mother making room for their accompanying dirt and clutter without invoking scriptural taboos or citing the daily puja as a reason for them to be kept at bay. She never insisted on any of her three children following any special routine of worship, but she would occasionally bring us closer to such matters by clever strategems - like one summer vacation when she made me read the Ramcharitmanas every day to 'improve my Hindi'! At other times, the presence of God in our home was underlined in the simplest of ways - no fruit or sweets, new clothes or books, or any shining item of use, freshly bought, was put into operation without enjoying a few moments 'Bhagwanji ke saamne (In front of God)', which meant they were always first placed before the few small figures of deities my mother worshipped each day. If! was forming any definite idea of God in those days, it would have been as an inoffensive, broadly loving but unobtrusive presence, which we gathered up and carted along with all the rest of our possessions to the numerous cities we lived in, for my mother to set up and pay homage to in each new place. My mother's equation with her Bhagwanji certainly did not communicate any sense of fear to any of us, or make us, literally, God-fearing. My paternal grandfather, who clicked around the house in wooden, single-toed khadaun (footwear used by orthodox Hindus) from a very early hour in the morning, was the only one who brought in any sense of rules or decorum to be followed in the practice of faith. It was he who insisted that I join my brother and cousins (all of them years older than me) in reading a few shlokas from the Bhagavadgita every morning- we sat in a line on four chairs lined up against the wall, dutifully bent over. I remember my wet hair still dripping on the back of my neck, although it had, of course, been neatly combed. Doing anything connected with God only after a bath, sitting upright, learning difficult Sanskrit letters and adopting a pose of sheer concentration, all these were definitely instilled by my grandfather, who was addressed as Bade Bhaiya (eldest brother) by everyone in the house, including us, his grandchildren. From his disciplined daily routine to his discussions on philosophy with student visitors from the college where he taught, my grandfather represented the structure and system of faith, while my grandmothers, both of .them, and my mother, represented the feelings. It was subtle, but unmistakable - the conditioning that women were the primary nurturers and protectors of faith in a family - but not its ultimate authority. In comparison to my mother's daily and visible contact with her God, my father's relationship with Him was very ambiguous. He would, of course, visit the great temples with us, such as Tirupati, or arrange for us to go to the important and famous shrines when we were on holiday, like the Mangesh temple in Goa. But he was rarely seen with bowed head or closed eyes, never in supplication or surrender, and his confident, quirky smile, dark moustache raised at the ends, and complete rejection of any form of overt religiosity set him apart as a picture of devil-may-care masculinity. He must have had his own spiritual crises, of course, but these were presumably addressed through professional efforts and growth, the company of friends and alcohol. What made me cheer my father's slender attachment to faith was the fact that it made him a definite liberal, truly modern in many ways. He despised all caste and community based networking, for instance, and neither sought to ingratiate himself with others on the basis of his Kanyakubja Brahmin lineage, nor specially encouraged others to approach him in a similar manner. He was also eclectic enough in his choice of friends, music, food and fashion to accommodate mine and my siblings' youthful tastes and demands. My mother kept pace with his modernity with no problem whatsoever. She was, and remains today, one of the truly modern, expansive, tolerant individuals I know, if a modern perspective is to be equated with a respect for all. It was another matter that her faith remained as fierce as ever as my parents entered middle age. As the glasses tinkled and snacks were passed around on the terraces of the fine homes where they attended parties, my mother could be spotted sitting calmly, half-smiling, her lips moving imperceptibly in silent prayer. She wore Chanel and Nina Ricci, lipstick and Kanjeevaram sarees, but didn't lose touch with the saint-poets that had nurtured her childhood - and mine. I grew up as their child with the same blithe insouciance about many matters that must have characterized those delightful Edwardian men and women whose stories I was wont to read, courtesy Wodehouse. I was literally larking about, not a whit worried about my faith, or the lack of it, the religious identity I was born into, or the social complexities it represented, till I began experiencing the first challenges to it in young adulthood as a self-conscious college student. Suddenly, I was in company where it was cool to discuss Bertolr Brecht or jean-Paul Sartre, Karl Popper or George Steiner, but confessing to a fondness for going to the Siddhi Vinayak temple on Tuesdays would have drawn very strange looks. I remember listening avidly in the college canteen to a friend describe the whole mind-versus- matter debate in the context of Hegel and Marx (all the time admiring his flashing brown eyes) and knowing with absolute certainty that artless little confidences about my family's relationship with Bhagwanji could never pass my lips. Secularism (the anti-religion version), and the radical challenge to the might of the State and its repressive agencies posed the first awkward obstacles in my easy familiarity with God as a presence to be invoked. As I spent more time amidst friends, peers and those seniors I respected for their visible contribution towards civil and women's rights and the plight of poor and marginalized communities, I spent no time at all in prayer, nor did I then feel the need to. In the last few years of school, I had filled notebooks with stories and poetry exploring all manner of existential questions. But then, just a couple of years later, I was afraid to speculate on the nature of God for fear of sounding silly. If I had stayed true to the influences that shaped my life in those youthful years, I would either have become a significant revolutionary, with clearly visible work around a cause, or an aesthete with sophisticated tastes who could wax eloquently over the beauty of Chola bronzes without any personal connection to the deities they represented. Instead, I took the plunge into messy domesticity and parenting, the beginning of my own family, complete with questions of what vision of God I would pass on to my children. My deepening acquaintance with Bhagwanji in this journey over the years has been described at various places in this book. But I wouldn't have taken to writing this book at all, if I had not wrestled with the problem posed by faith. By the time I had navigated my forties, the difficulties of being a believing Hindu in the twenty-first century had been borne in on me in a variety of ways. The 'identity politics of the 1990s, with the twin horrors of the Babri Masjid demolition in 1992 and the Gujarat riots in 2002 made it difficult to admit aloud with any pride that one was a Hindu. Even though, ironically, that was the exact slogan of the perpetrators of these horrors - 'Garv se kaho, hum Hindu hain (Proclaim with pride that you are a Hindu)'. Instead, the aggressive posturing by self-appointed guardians of the Hindu faith actually made it appear less attractive than it had ever appeared in its timeless history. Professing a fondness for the deities and symbols of Hindusim after the emergence of the chauvinistic 'Hindutva' in the political arena became a virtual minefield, which the faint- hearted would do well to avoid completely. In this context, even writing a book about faith, or seeming inordinately interested in pilgrims or pilgrimages is an odd choice for some of my friends. When I tell them I am writing about devotees of Shiva, 1 can sometimes hear a sharp intake of breath - for a few seconds 1 have been placed only shades away from Narendra Modi, chief minister of Gujarat during the riots of 2002, in the narrow bandwidth of their imagination. Then they profess to listen to my reasons for writing, and don't actually descend into argument (I am, after all, fifty, female and quite harmless!). But you can see that somewhere, 1 have entered very suspect territory in the way they conceive of 'secularism'. Ah, well. 1 will deal with more of that in later chapters. Right now, it's just enough to say that 'Hindutva' was a poison that made the most personal attachment to Hindu gods seem a political statement.